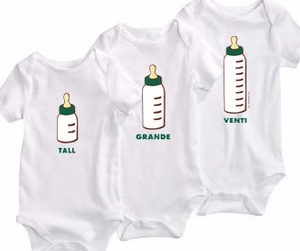 A perfect gift for parents of triplets who love to visit Starbucks! Moms of Multiples often N-E-E-D coffee in varying amounts, depending on the day they are having. The same goes for triplets, needing different amounts at feedings!